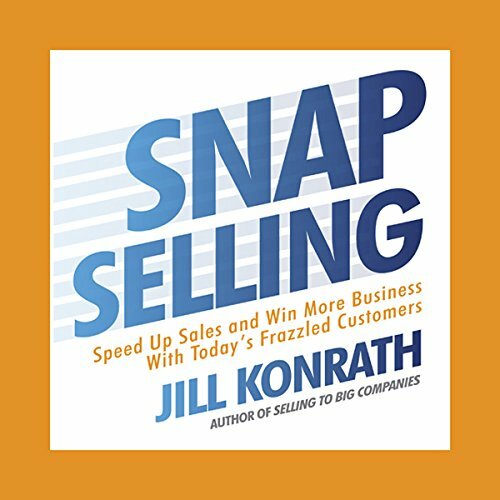 Now, internationally recognized sales strategist Jill Konrath tells you how to overcome these obstacles to get more appointments, speed up decisions, and win sales with these short-fused, frazzled customers. Keep it Simple: When you make things easy and clear for your customers, they'll change from the status quo. Be invaluable: You have to stand out by being the person your customers can't live without. Always Align: To be relevant, make sure you're in synch with your customers' objectives, issues, and needs. Raise Priorities: To maintain momentum, keep the most important decisions at the forefront of their mind. SNAP Selling is the perfect guide for any seller in today's increasingly frenzied environment. 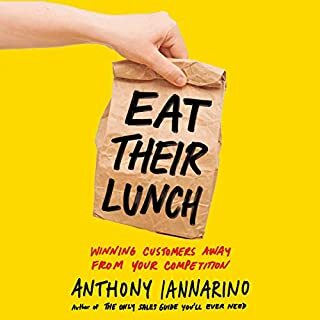 What I like about this book is she focuses on the buyer?? ?s decision process and how sales people can bring value. While there are many good points in this book not sure why so many people on Amazon gave it a 5. She's right it's really hard to get in front of busy individuals, but her solution is to waste their time be regularly sending them articles via email along with a message like "this article will be useful to you." Also, the entire book seems like a plug for her consulting services. What did you like best about Snap Selling? What did you like least? 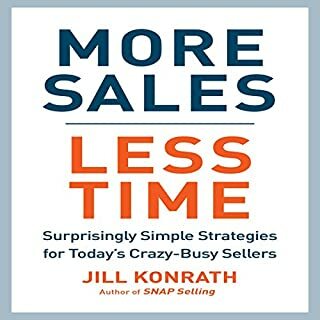 I really love Ms. Konrath has a great system and this book has helped me organize my thoughts and build my sales strategies. Where the audio book falls down is in the quality of sound, and the reading. It feels cold and monotone. I feel like Ms. Konrath is just speeding through the material without a thought to the listener's process. Who would you have cast as narrator instead of Jill Konrath? Did Snap Selling inspire you to do anything? It has given me some strong tools to evaluate my communications with potential clients. I'm actually buying the book rather than listening to the remainder of this audio book. Reading isn't as convenient for my packed train commute to and from Manhattan, but I will get more from the material when I'm not focusing on the quality of the audio and the forced pace of the reader's voice. What the heck did I just listen to? Why would the author not have someone professional record the book? Then at one point she recommends pretending you are the prospect and calling yourself and role playing with yourself as if you are schizophrenic. By the time you do all of this stuff you will have failed out of the business... Whatever business you are in. 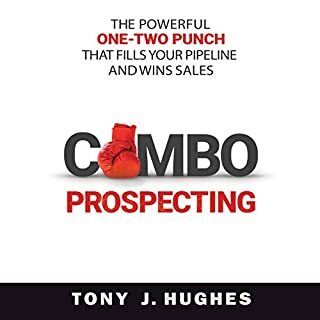 I found this to be a really good resource that would be a good addition to any series of books in sales. I would highly encourage you to check it out lots of great stories and insights on what does and does not work with some realistic checklist. Sales & Account management is tough, get this book you'll enjoy it. Best wishes in your Life Journey. 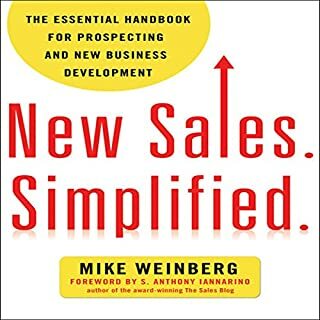 information is great, really a mandatory read for anyone in sales. loved this book. Jill konrath explains today's buyer in a way that's easy to understand. 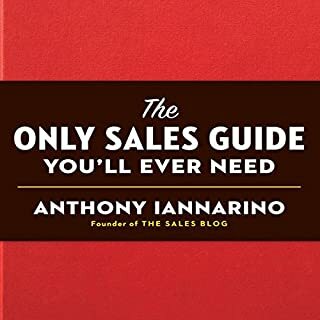 if you want to succeed in sales this is a must read. Jill hits the nail on the head about crazy busy prospects. Great book to help you start thinking differently and more productively. Especially like her personal accounts of sales failures & successes. I walked away with many new ideas. Listening to this book made me want to catch another Konrath book. Highly relevant content in a complex B2B sales environment with practical suggestions to complement the ideas. Well read too. The candid letter from a buyer to a sales person at 12.20 into the book is genius, worth buying just for that alone. 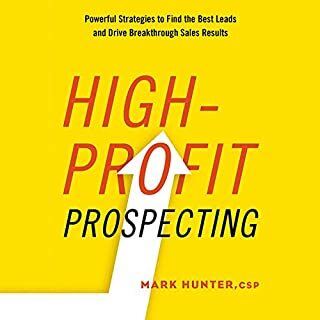 I would have given 5 stars but I found myself less bought in to her ideas from the stages after prospecting and gaining customer interest. Sorry was just not up to the prior level and if it had dragged on much more I would have deducted another star. Not sure about the other reviewers comments about her performance. Personally I listened at 1.25* speed, but I was also following along with a hard copy and I noticed she was not reading verbatim and sometimes she losses track a bit (although she recovers quickly) this may have affected their enjoyment. For me she was fine and energetic and no strong accent which can be the main reasons for listener frustration.